Set of 4 Quadcopter Propeller Protector Spare Part Set RC for Syma RC X5 X5C by uptogethertek at Open Drone. Hurry! Limited time offer. Offer valid only while supplies last. Durable & light weight quick wear parts for syma x5 x5c x5c-1 x5s x5sc x5sw quadcopter set includes: 4x propeller protectors. 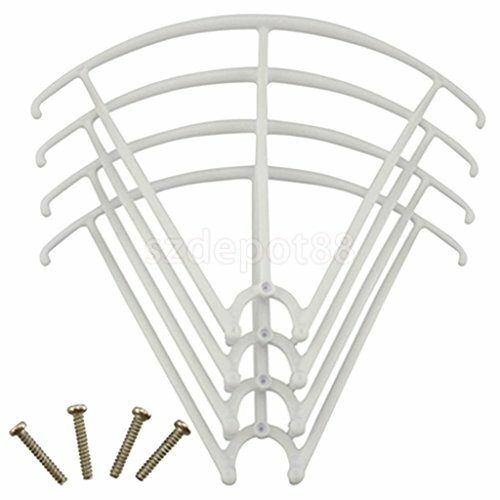 Come with 4pcs mounting screws material: plastic package size: 100 x 80 x 20 mm/ 3. 94 x 3. 15 x 0. 79 inch.